Winner of the Palme D’Or, Dheepan is a hugely powerful French film filled with humanity and power. The team behind the film are director Jacques Auidard and writer Thomas Bidegain, proving that their astonishing piece of work Rust And Bone was not a one off. Escaping the Sri Lankan civil war, a former Tamil Tiger (Antonythasan Jesuthan), a woman he doesn’t know (Kalieaswari Srinivasan) and an orphaned girl (Claudine Vinasithamby) pretend to be another family who have died in the conflict. Dheepan, the name of the father in this new family unit, has contacts abroad and eventually they find a home in one of the underprivileged and crime ridden suburbs close to Paris. There he will work as a caretaker, while his “daughter” Illayaal will go to school to learn French and his “wife” Yalini will find work as a carer. There they hope to make a new life away from the conflict and violence of their homeland. It’s with these faltering steps that the film eases us into their relationship. They are strangers forced together. Each in their own way suffering from the tragedies of the homeland they have left behind, each of them trying their best, each of them reluctantly making the best of the situation. It is a stoic and heartrending process – each of the characters coming to terms with each other as much as their situation. And their situation is not good – life is far from straightforward on the crime filled estate. There is proper gang warfare going on amongst the dilapidated buildings Dheepan is now responsible for looking after. And he takes pride in his work, attempting to forget all he has lost in his life as a soldier by cleaning and repairing things like previously non-functioning lifts, and making the place just a little bit nicer than it was before he arrived. It’s in the moments of stillness, of silent concession between them all, of quiet contact and unspoken smiles of companionship between these three disparate characters which particularly make the film sing. The performances from the trio are superb, and in this movie of making the best of a bad situation trying to create new lives away from the horrors of home is central. It’s when new horrors arise from the new home that past and present conflate. Awful actions happened back in the old country and in trying to stop the new life from being ripped apart we as the audience are made to understand why behaviour and action is at the core of what makes a person human. These refugees are people fighting to be alive. It’s understanding an action rather than condemning it out of hand which guides us through the story. It’s also what makes the events so quietly devastating. It’s a film of two halves, a quieter low-key relationship drama coupled with an abruptly unsettling violence. The combination is unusually effective and makes the film a highly recommended watch. 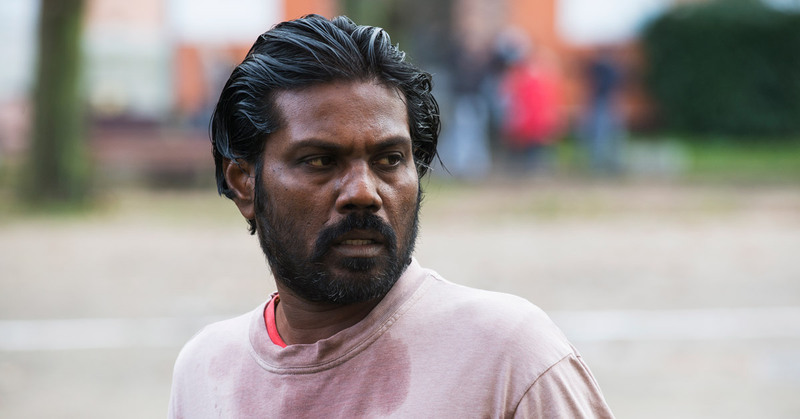 Dheepan is a touching, tender and violent film of intense humanity. Beautiful stuff. Dheepan is available on Digital Download from 1st of August, and to own on DVD and Blu-ray from 8th of August.